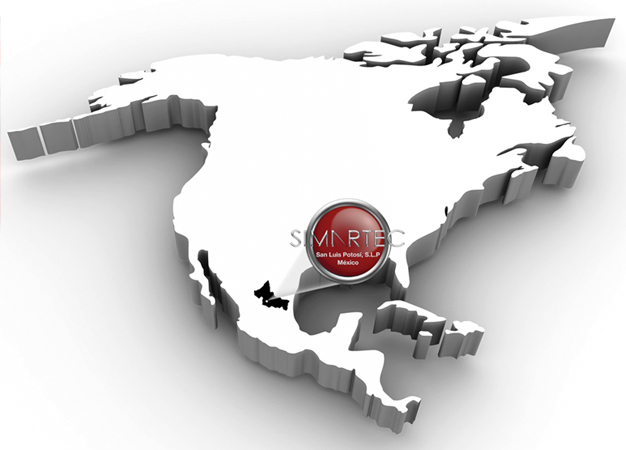 Simartec´s ideal location in central México makes accesible to your company its global presence with more than 20 years experience in quality, process and engineering areas. Our highly qualified bilingual staff resident in the city of San Luis Potosí assist in project management, inspection, production planning, coordination and logistics providing the broad “Made in México” advantages. Fabricaciones y Componentes Industriales Simartec, S.A. de C.V.